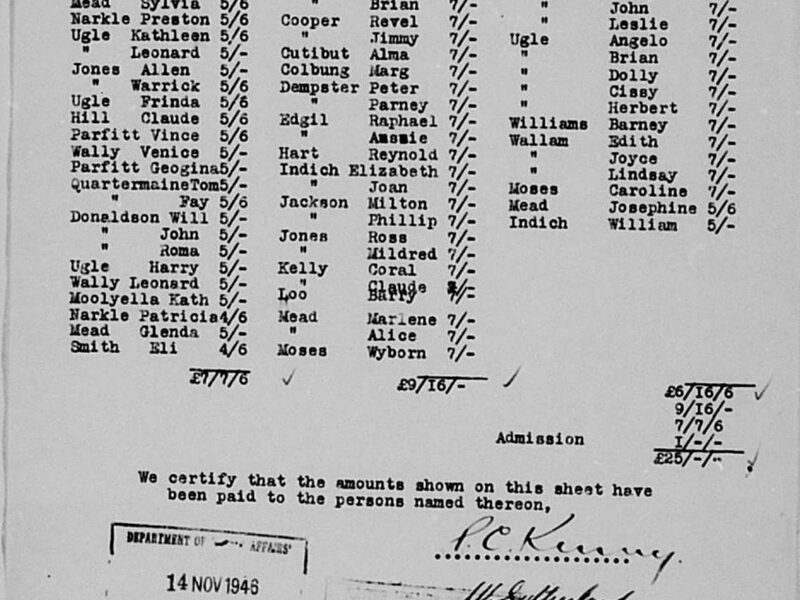 Document showing the expenditure for individual children of Carrolup when they attended the Katanning Show in November 1946. 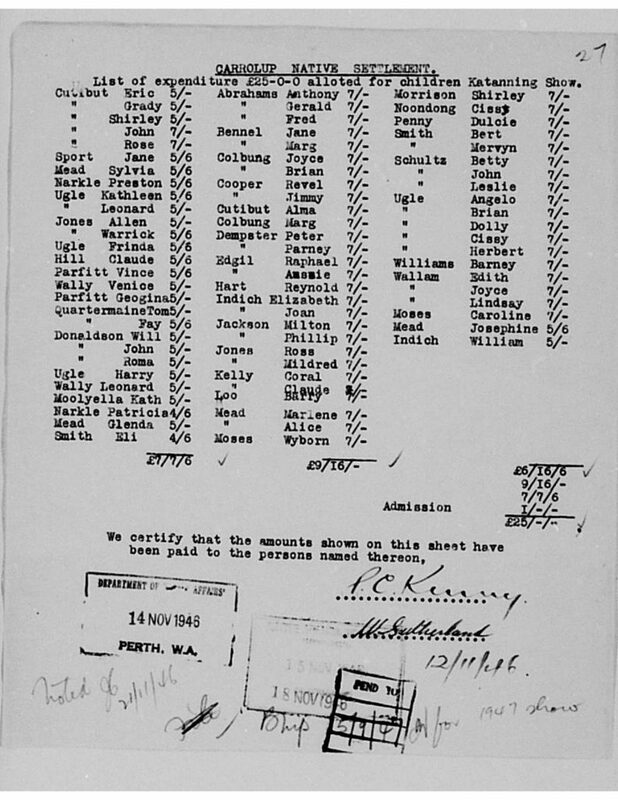 Click on image to see full document. Yesterday, I had a very moving and stimulating phone discussion with Dale Jones, whose father Warrick Jones was at Carrolup during the time that Noel White was teacher at the school. I was also communicating on Facebook with Cheryle Jones, whose mother Mildred Jones was there during that time. This blog posting, taken from our forthcoming book, is dedicated to Dale and Cheryle and their families. It tells of how the children of Carrolup first went to the Katanning Show and also includes the first mention that Noel White makes of the art in his School Journal. ‘The youngsters start to look forward to the upcoming local show in Katanning, which is organised by the Katanning Agricultural and Pastoral Society. The show takes place on Friday, the 1st of November and is attended by more than 3,000 people. It’s hard to imagine what the children would have felt like attending such a show with so many white people – and probably very few Aboriginal people. Most, if not all of the children, would probably not have previously attended such a large gathering. The only white people that most of them knew at that stage, other than the White family, were the staff at Carrolup, the Native Affairs and Education Department Inspectors, and some local farmers. As well as being excited about attending the show, the children must also have felt nervous. A total of 76 Carrolup children attended the show, and they received sums of between four shillings and six pence (4/6) and seven shillings (7/-) to spend at the show. Taking an average inflation rate, the sum of seven shillings would be worth around $24 today. It must have been quite an operation shepherding around 76 children at a busy country show! No doubt, all dressed in the clothes made by Lily White and the older girls. As it turns out, the event is a great success. Noel and Lily White feel very proud of what the children achieve. © The Aboriginal Child Artists of Carrolup by David Clark and John Stanton, to be published later in 2019. Before closing, I just wanted to say that we will generally be uploading blog posts twice a week from now on. We have had to reduce the number of postings as we must keep up with our other Carrolup Project activities.